On September 11, 1941, those Dodgers arrived in St. Louis for their final three games against the St. Louis Cardinals, with whom they had waged a season-long battle for the National League pennant. Brooklyn’s lead was one game, with just over two weeks left in the season. The Dodgers won the first game, 6–4, on Dixie Walker’s two-run single in the 11th inning. It was a sloppily played game, with each team committing four errors. Brooklyn’s lead grew to two games. The crowds were as rabid at Sportsman’s Park as they had been at Ebbets Field two weeks earlier, and tension on the field was as great as it was in the stands. The bench jockeys from both teams had taunted one another all afternoon, and several players had lodged complaints with umpire Al Barlick. The Dodgers’ aggressively belligerent manager, Leo Durocher, was at the forefront of all the complaints and arguments, as he always was. Before the September 12 game, NL President Ford Frick met with Durocher, Cardinals manager Billy Southworth, and the umpires and ordered them to tone down the badgering and arguing. St. Louis, behind the pitching of Howie Pollet and Max Lanier, won the middle game of the series, 4–3, setting up the rubber game on Saturday. Brooklyn’s lead was again down to one game, and unless the two teams ended the season deadlocked, this would be their final meeting. The third game, on Saturday, September 13, drew a crowd of 32,691, Sportsman’s Park’s largest non-Sunday crowd since 1927. Cardinals fans were as devoted to their team as Dodgers fans were to theirs. Durocher started Whit Wyatt (19-10), while Southworth chose Mort Cooper (13-6). Because of the stakes involved, this game between the Dodgers and Cardinals was among the most dramatic ever in the history of these longtime rivals. Through seven innings, neither team could score. Wyatt, normally a fast worker, was pitching at a much more deliberate pace than usual and had been in trouble in the fifth and sixth innings. In the fifth the Cardinals had runners at first and third with no outs, but Wyatt struck out Gus Mancuso and Cooper, and Jimmy Brown grounded out. After retiring the first two batters in the sixth, he gave up a single to Johnny Mize and hit Estel Crabtree with a pitch. A passed ball by catcher Herman Franks allowed the runners to move up a base. Durocher chose to intentionally walk Frank Crespi and pitch to Marty Marion. Loading the bases in that situation was a daring move, but Wyatt justified it by getting Marion on a pop fly to his opposing shortstop, Pee Wee Reese. Wyatt retired the last six St. Louis batters, including a strikeout of pinch-hitter Enos Slaughter to end the game and give him his 20th win. Slaughter, along with Terry Moore, had been out for the past month. He had taken batting practice, but his shoulder was still too sore for him to play the field. The pinch-hitting appearance was his first game action since the injury. Speaking of this game years later, Wyatt said, “I think that was the best game I ever pitched in my life.” When Slaughter came up to pinch-hit in the ninth, Durocher came out and said, “You know this fellow can hurt you, don’t you?”5 Wyatt did know, but he struck out the rusty Slaughter on three fastballs. 1 Bill James, The New Bill James Historical Baseball Abstract (New York: Free Press, 2001), 207. 2 Bill Borst, “Showdown in St. Louis,” The National Pastime (1991): 63-64. 3 Roscoe McGowen, New York Times, September 14, 1941. 4 Brooklyn Daily Eagle, December 11, 1952. 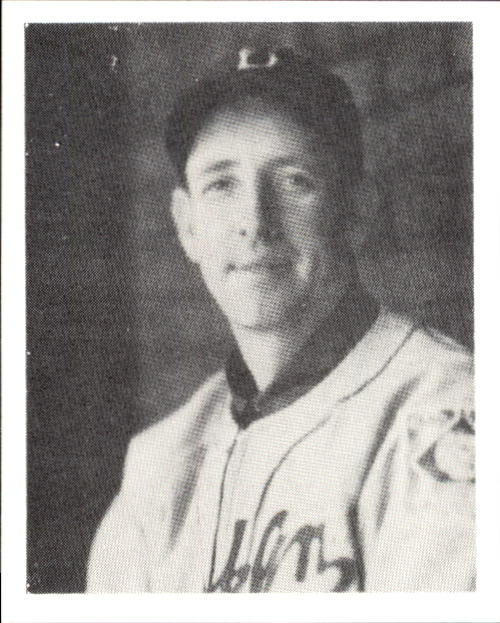 5 Thomas Liley, “Whit Wyatt – The Dodgers’ 1941 Ace,” in David L. Porter, ed., Biographical Dictionary of American Sports: Q-Z (Westport, Connecticut: Greenwood Press), 47. 6 Donald Honig, Baseball When the Grass Was Real (New York: Coward, McCann & Geoghegan, 1975), 92. 7 J.G. Taylor Spink, “Always Something Doing With Dixie,” The Sporting News, December 25, 1941.